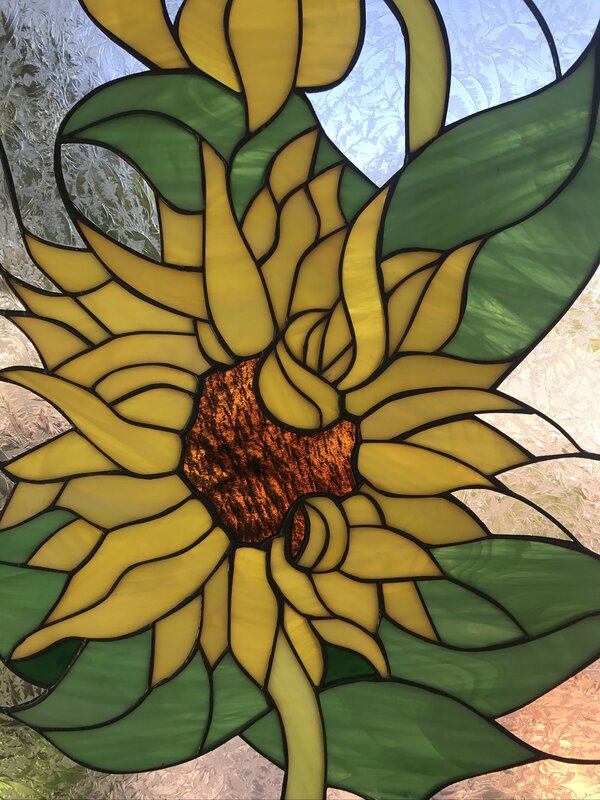 The bright and cheery yellow of sunflowers will bring more light and positivity into your home. 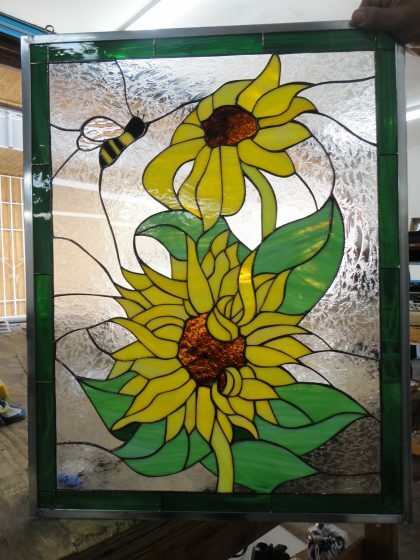 With two large sunflowers on our leaded stained glass window panel and a bumble bee seeking pollen from them, it is the essence of nature in a simple and pure form. 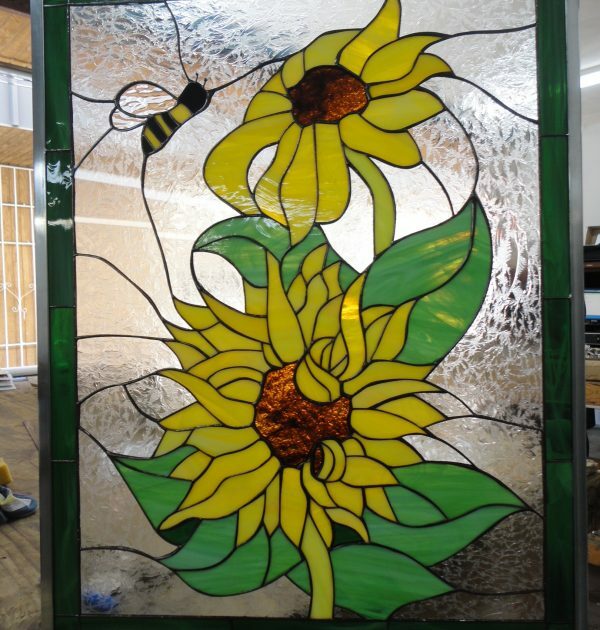 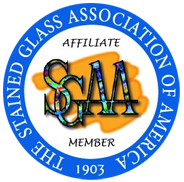 Surrounded by textured glass and a dark green glass border, you’ll bring your garden indoors for a sunnier outlook on life. 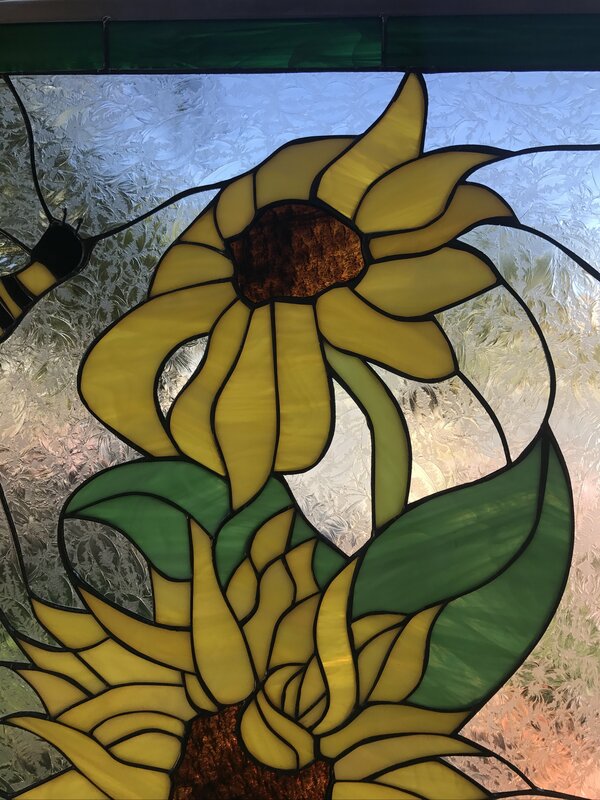 Bumble Bee and Sunflower – It’s just like summertime every ti me you see this magnificent scene of these radiant yellow sunflowers and this busy little bee feasting on nectar.